NeoModus Direct Connect was initially a file-sharing client for Windows and Mac users that provided file-sharing capabilities for any type of file within a hub-centric, peer-to-peer network. NeoModus Direct Connect inspired the creation of open-source versions of the client, such as Open Direct Connect and later DC++. DC++ itself has several specialized spin-off open-source versions as well, such as ApexDC++ and StrongDC++, which are refined with features particular to user groups, such as filters, language packs, and search capabilities. Inside my University the most popular way of sharing files is using these DC Hubs. Not only us, there are many hubs in local networks of many educational institutions. For example, look at this cool utility in IIT-B. There are many hubs on the internet as well whose list is available here. So, I was intrigued to understand this protocol better to see how secure it is. Moreover no major analysis is available on the internet for me to go through. The best resources I have are this & this. Inorder to be able to test various stuff, I used python to write small snippets using socket library to try different stuff. Since there is no practical way for the hub to verify your share size, you can spoof yours to attract people to browse your shared files. This is not a huge attack on its own, but it has helped to draw the attention of users and make them download some malware :P. The command in which share size is sent looks like this. 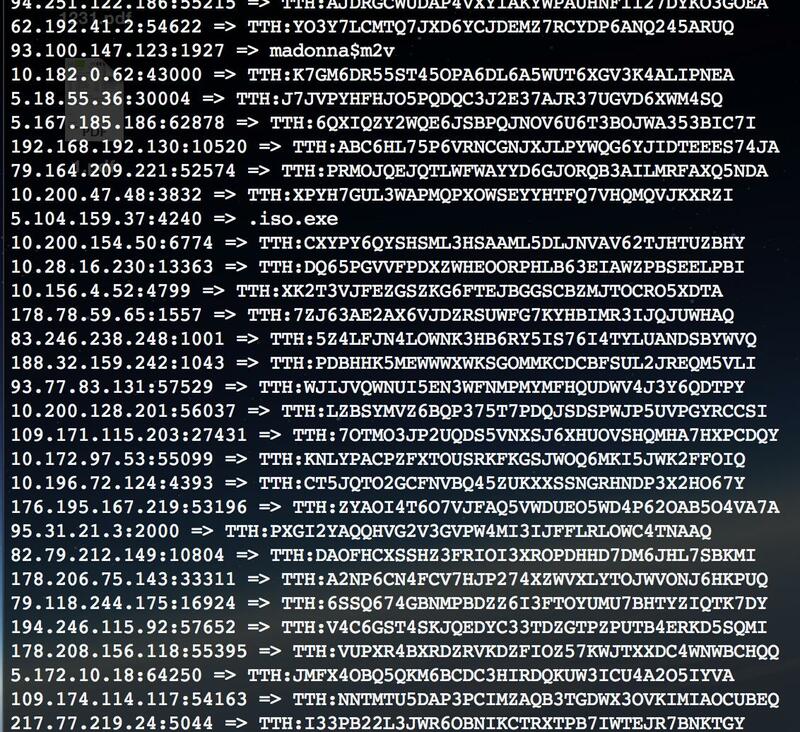 The protocol is designed in such a way that whenever a user searches for a file, all the clients connected to that hub get this search query. If you are using a dc client software, you will never know what others are searching since the clients automatically send the search results by actually searching your shared files, but if you use a handcrafted client you can easily categorize all the searches of a particular user. When the download slots for a file are not enough, the client software tries to search using the TTH of the file. Again this search is sent to all the connected clients. 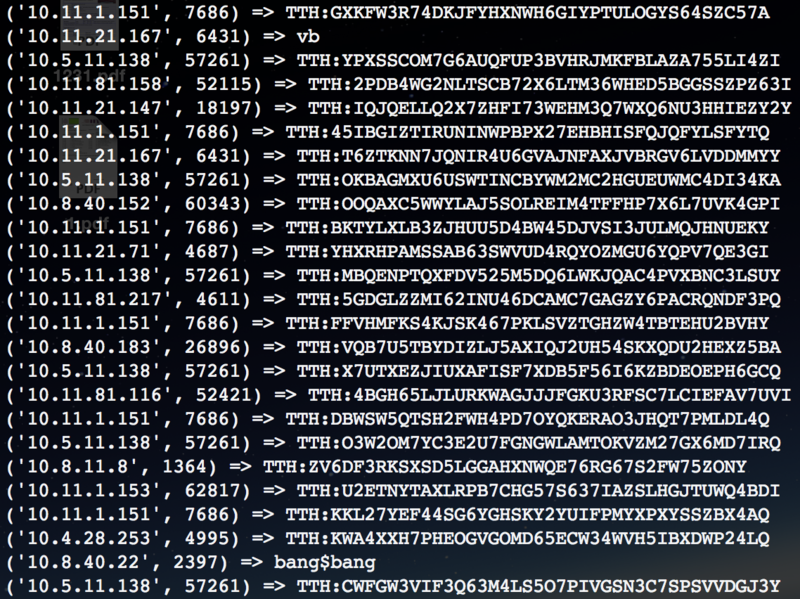 It is easy to match a TTH to a file, by just searching it on the hub itself ;). Though this is facilitated by the protocol itself, I find it amusing to see what other users are searching for. So, some screenshots of search queries that are extracted from some online hubs :P are present here, here & here. If the file is big and there are matching results, then the victim client will try to download part of file from other clients. Let me tell you it is more complicated to produce convincing results, best way is to cache the search results and extract useful filenames and TTH hashes. This is tricky. There are few people who just want to watch the world burn. For them, there is a facility in NMDC. 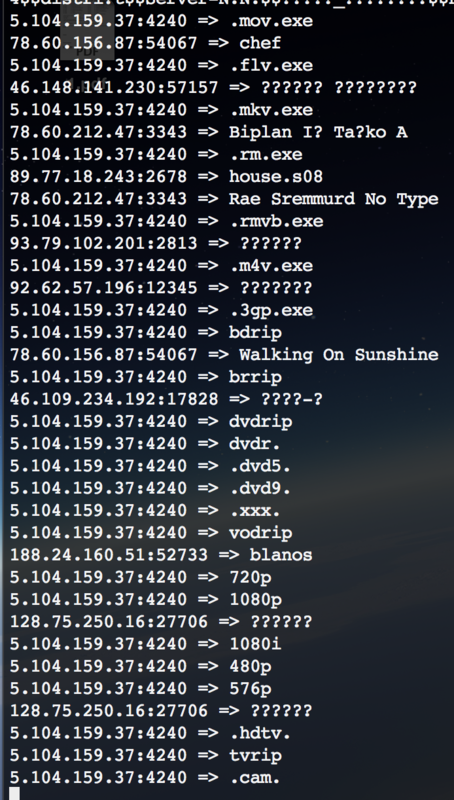 The clients search using TTH hashes for alternate sources to download a part of file. If you respond to that search and send random binary data, the downloaded file will end up being useless. Nothing particularly of interest, but will be fun to mess with few people. This feat will require huge processing power and great bandwidth even for an active hub with users in two digits.